The death of a man who was detained by a branch of China’s new anti-corruption regulator is raising questions about transparency and oversight at local levels. Chen Yong, a former government contract worker, had been held by authorities in Fujian province who were seeking information into a corruption investigation. But when his family arrived last week to visit him, they were taken to a dimly lit funeral parlor, where, in a morgue refrigerator, they found him dead and “with a disfigured face,” Chen’s sister told Caixin. 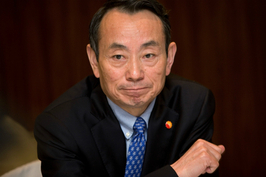 Chen’s is the first reported death since the new National Supervisory Commission (NSC), with national and local-level offices, was set up in March to oversee China’s myriad cases of suspected government corruption. But the public has been given little information on how the powerful new agency handles investigations and suspects — including peripheral figures such as Chen. Chen was a driver hired by the Jianyang district government in Fujian’s Nanping city from 2006 to 2016. He was detained last month so authorities could gather information into Lin Qiang, a vice director of the district, who was suspected of corruption, according to Chen’s sister. On Saturday, Chen’s family received a phone call from the district branch of the commission to hastily arrange a visit with him — the first in the month that he had been held. They did not expect to be visiting his lifeless body. “I pulled his shirt up and saw a cave-in in his chest and black and blue bruises on his waist, but was stopped when I tried to check his lower body,” his sister said. Chen’s wife, who arrived at the funeral parlor late in the night after she learned of her husband’s death, said she also found bruises on other parts of his body, including his cheeks. Both Chen’s sister and wife asked not to be named over fear they would anger authorities. China’s ruling Communist Party already has an anti-corruption system for party matters known as the Central Commission for Discipline Inspection. 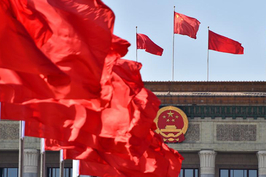 The NSC was introduced in March to bring anti-graft operations more in line with the law and increase transparency, according to the National People’s Congress, China’s top legislature. But the new agency has been dogged by a lack of accountability, particularly relating to the detention and interrogation of corruption suspects, according to critics. It is unclear how legislatures at local levels, which are tasked with overseeing branches of the commission, keep checks on their daily operations. And suspects detained by the commission are denied access to lawyers under the current law, making them vulnerable to mistreatment and even torture, critics said. 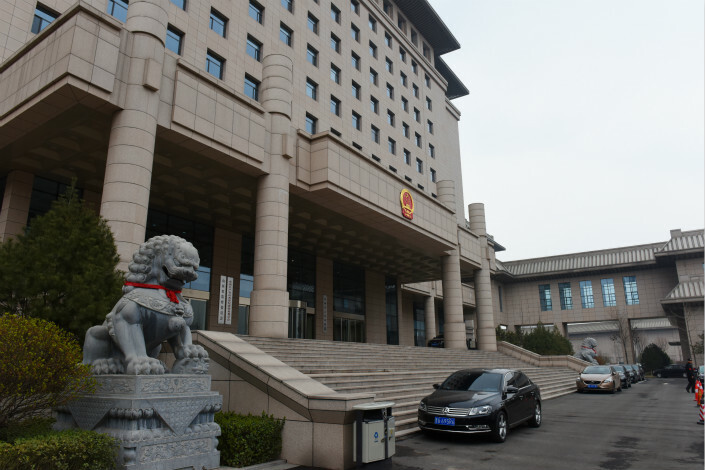 The Nanping branch of the commission did not respond to Caixin’s questions of whether Chen was tortured, saying that the case is still under investigation. Local commission officials told his wife that he collapsed while being interrogated around 4 p.m. on Saturday and was later rushed to hospital, but died around 8 p.m. that evening. Chen’s family said he regularly took medication to control his blood pressure and had problems with his stomach that predated his detention, but had no other illnesses. When confronted by Chen’s family, the local branch of the commission admitted to certain negligence, but rejected request for access to video recorded during his interrogation, despite such requests being guaranteed by law, Chen’s sister said.